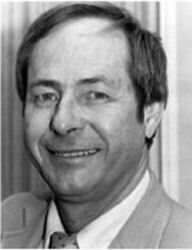 Roger Herriot was the Associate Commissioner of Statistical Standards and Methodology at the U.S. National Center for Education Statistics (NCES) when he died in 1994. Prior to his service at NCES, he also held several positions at the U.S. Census Bureau, including Chief of the Population Division. Soon after his death, the Social Statistics and Government Statistics Sections of the American Statistical Association (ASA) along with the Washington Statistical Society (a chapter of ASA) established the Roger Herriot Award for Innovation in Federal Statistics. The award is intended to recognize individuals or teams who, like Roger, develop unique and innovative approaches to the solution of statistical problems in federal data collection programs. The award is not limited to senior members of an organization, nor is it to be considered as a culmination of a long period of service. Individuals or teams at all levels within Federal statistical agencies, other government organizations, nonprofit organizations, the private sector, and the academic community may be nominated on the basis of their contributions. As innovation often requires or results from teamwork, team nominations are encouraged. Team innovations often are more lasting, resulting in real paradigm shifts, not just one-off improvements. For an example, see the 1998 Herriot (team) award. The recipient of the 2018 Roger Herriot Award will be chosen by a committee comprising representatives of the Social Statistics and Government Statistics Sections of the American Statistical Association, and of the Washington Statistical Society. Roger Herriot was associated with, and strongly supportive of, these organizations during his career. The award consists of a $1,000 honorarium and a framed citation, which will be presented at a ceremony at the 2018 Joint Statistical Meetings. The Washington Statistical Society will also host a seminar given by the winner on a subject of his or her own choosing. A cover letter from the nominator that includes references to specific examples of the nominee's contributions to innovation in Federal statistics. These contributions can be to methodology, procedure, organization, administration, or other areas of Federal statistics, and need not have been made by or while a Federal employee. A current vita for the nominee with current contact information. For team nominations, the vitae of all team members should be included. The committee may consider nominations made for prior years, but it encourages resubmission of those nominations with updated information. For more information, contact Mary Batcher, Chair of the 2018 Roger Herriot Award Committee, at 202-327-6773 or marybat10@gmail.com. Completed packages must be received by April 1, 2018. Electronic submissions to marybat10@gmail.com in MS-Word or as a "pdf" file are strongly encouraged.